One of the newest BBBA members - Rustic Reserve (part-owned and managed by one of the oldest members, Barbara Page-Roberts) congratulates BBBA on its four years anniversary, celebrated in style last Thursday at Sofia City Stage. 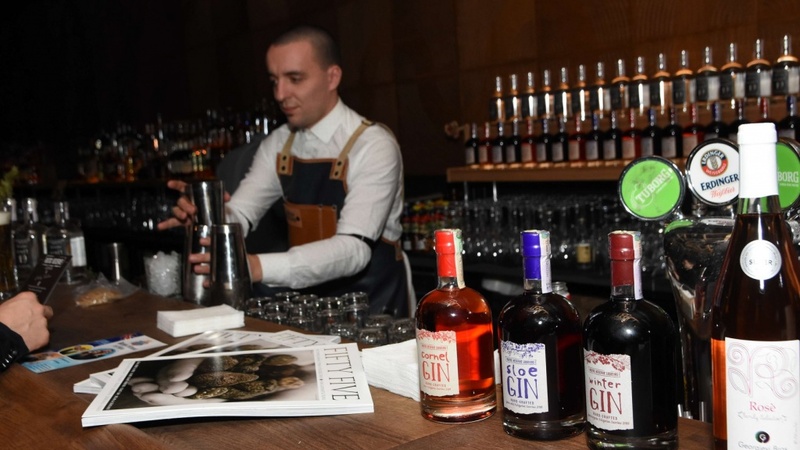 We greatly enjoyed meeting new and old friends at our cocktail and G&T bar, where we served our brand-new Bulgarian Craft Gin – a London Dry Gin distilled exclusively for Rustic Reserve in UK, using 19 Bulgarian Botanicals – as well as great gin liqueur cocktails from our Brand Ambassador Niki Vesselinov. We would also remind BBBA members that we are offering you all a discount on all our products until February 28th – go to www.rusticreserve.bg and log in to the exclusive BBBA member area with user name and password on your discount card which we handed out at the Party – or e-mail us directly at directly at sales@rusticreserve.bg if you don’t have them to hand.